Phew! is all I can say to this finish! This is a laptop sleeve for my 17 year old nephew, for Christmas. Despite the ‘simple’ vision I had of this in my mind (I should have been worried right then!) this project turned into quite a challenge. 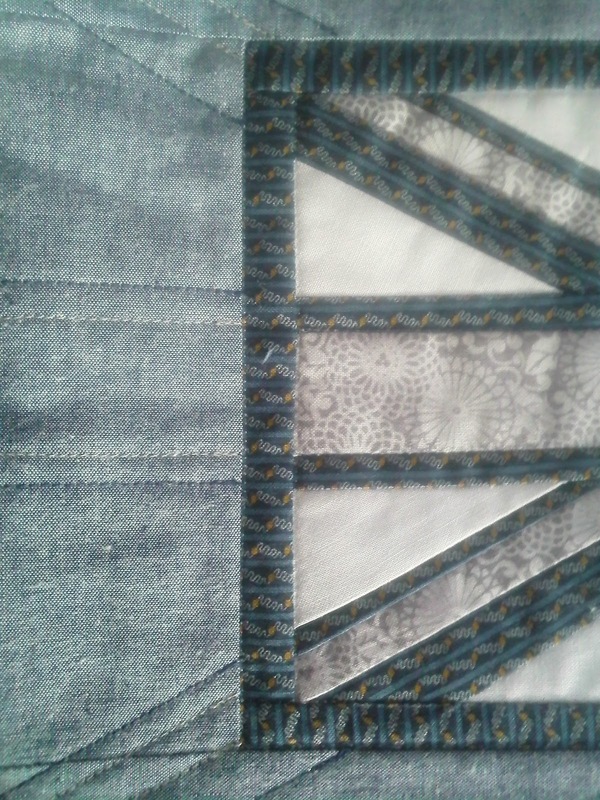 As mentioned previously, my foundation piecing with lined fabric made full use of the word ‘wonky’! 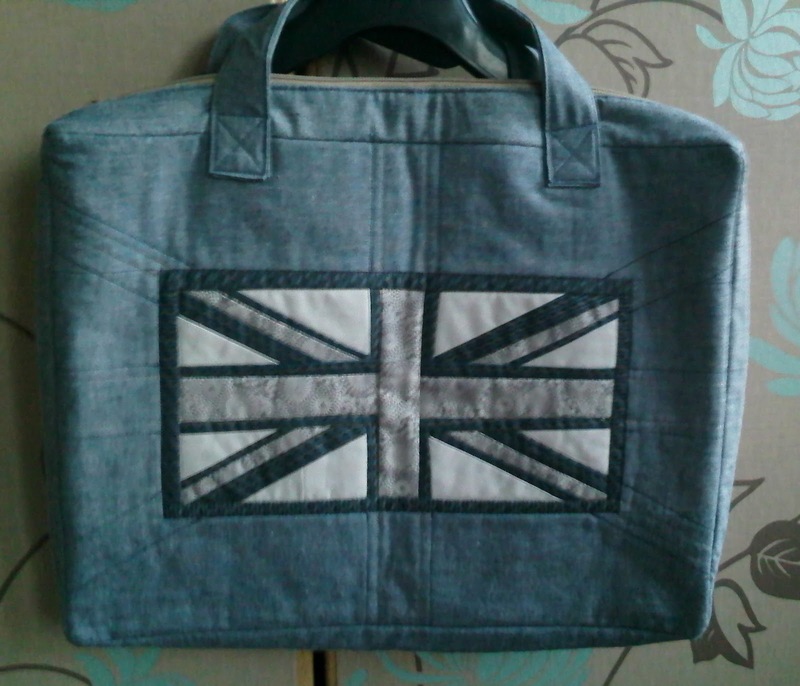 I’m deliberately NOT showing a close up of the wonky bits! Then came something that would have rivalled an episode of The Krypton Factor (I’m showing my age now!). I know enough from bag making to know that there is a sequence when constructing a bag. 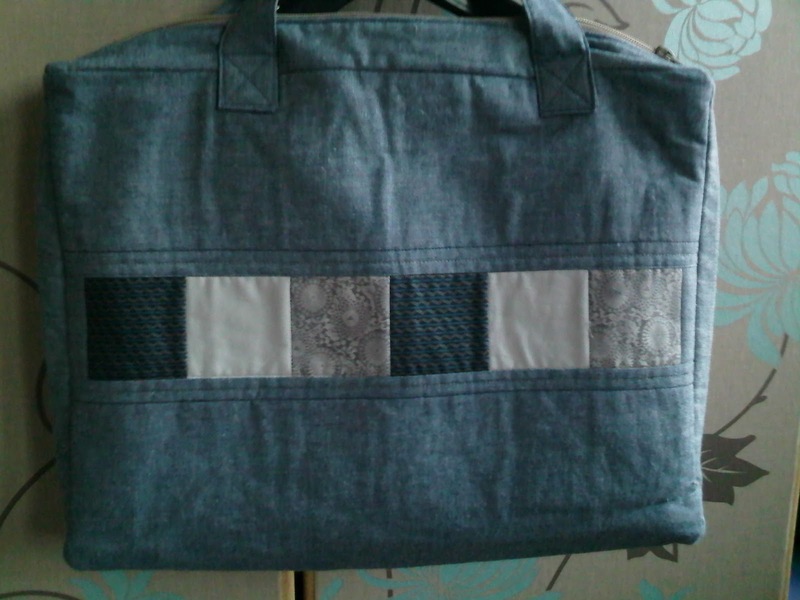 As this laptop sleeve is essentially a bag (don’t tell my nephew that!) I thought I’d be able to work it out! Unfortunately for me, I don’t have a degree in Construction Engineering or Quantum Physics (or anything else for that matter!) 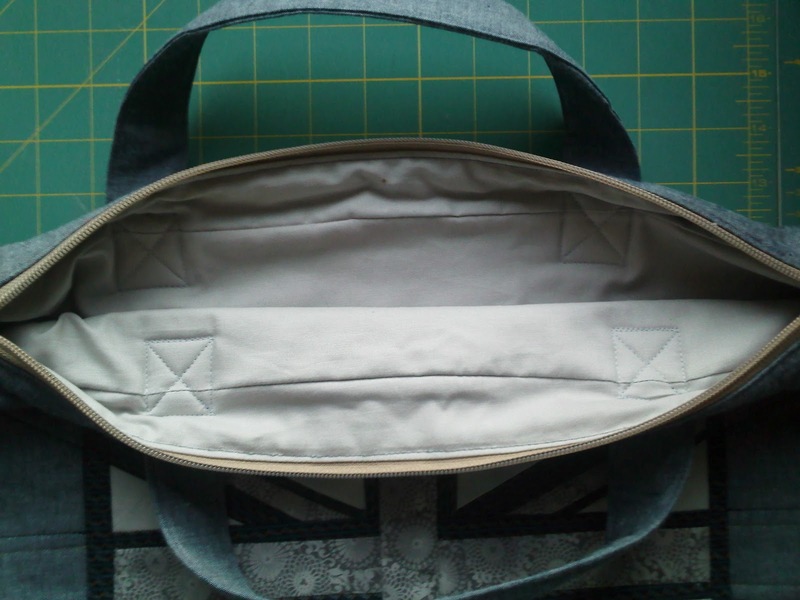 & I realised too late that I’d never made a gussetted/zippered/lined bag. 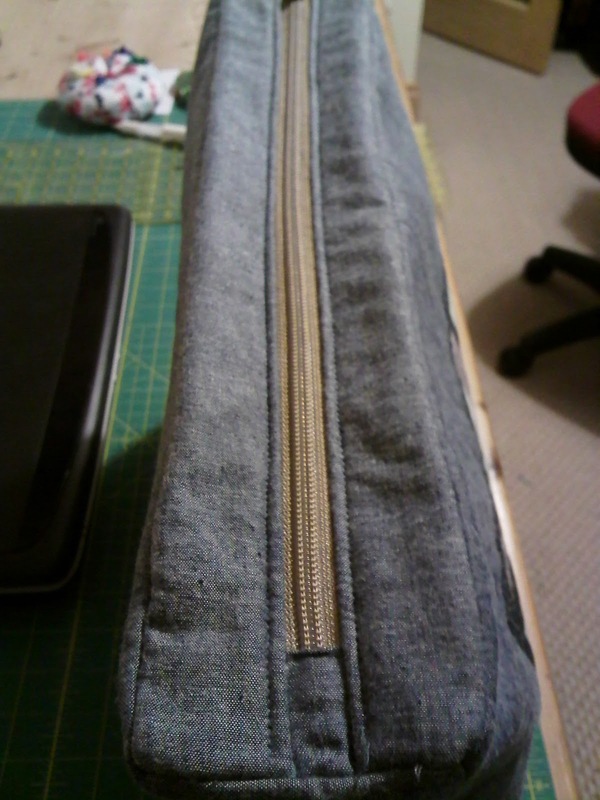 I couldn’t for the life of me work out how to get the gussets, zips and linings together without any raw edges! World Wide Web – you were no help to me at all!! When I finally, somehow, managed to get the thing together with no holes or raw edges, I couldn’t get my husband’s laptop (same model as nephew’s) to fit in through the zipper opening! And my zipper ends were so lovely too! So out came the stitch ripper (again! ), off came the zip (again!). Never mind, I battled on (I even dreamt about fixing it last night), persevered and I now have a satisfying finish & a very sore back! Lovely Kona Ash on the inside! I hope your week has been more productive and stress-free than mine! Previous Previous post: We will conquer!